I just love free wood! 12 boards of solid red oak 12" wide x 11' long a full 1" thick. Milled in the early 60's. I worked for a prominent University and a few years ago, they announced a building on campus would be demolished. I expressed interest in these boards that were used for library shelving. Anyway, as projects tend to progress slowly at non-profits, 3 years passed and the building still stands but I no longer work there. The facilities super remembered I wanted these and reached out to me recently and told me demolition will commence so he set them aside for me. Otherwise headed for the dumpster, they will be given new life for future projects. The boards weigh a ton, I thought my little truck was going to pop a wheelie! In fact it was no problem and my truck handled it fine. I'm psyched! Re: Score of the decade! Are those boards only one inch thick? 5/4 or 6/4? 1". They look thicker in the picture. That is an awesome score. Any idea what your first project with these boards is going to be? Jim, what a score! Congratulations. Please keep us updated on what you turn them into! Agree. They look like 8/4 at the bottom. But at the top they look a lot skinnier. Several years ago I was hired to remove a series of bookshelves in a house. 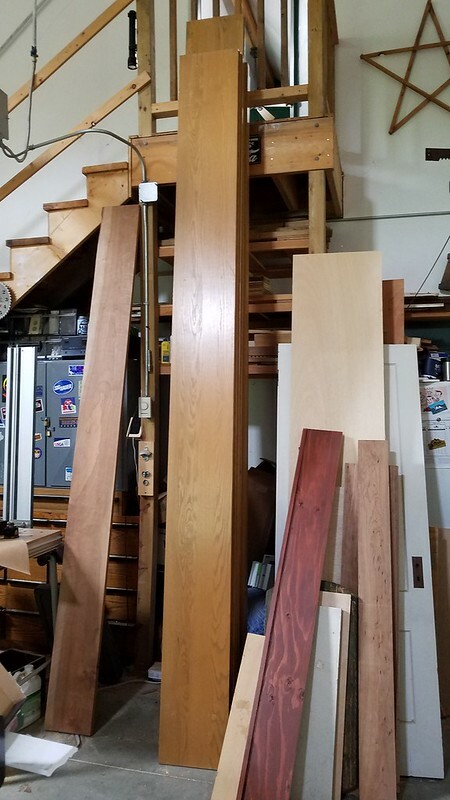 The shelves were all 4/4 oak. The previous owners were attorneys and they had spec'd the oak shelves to handle the weight of the books. 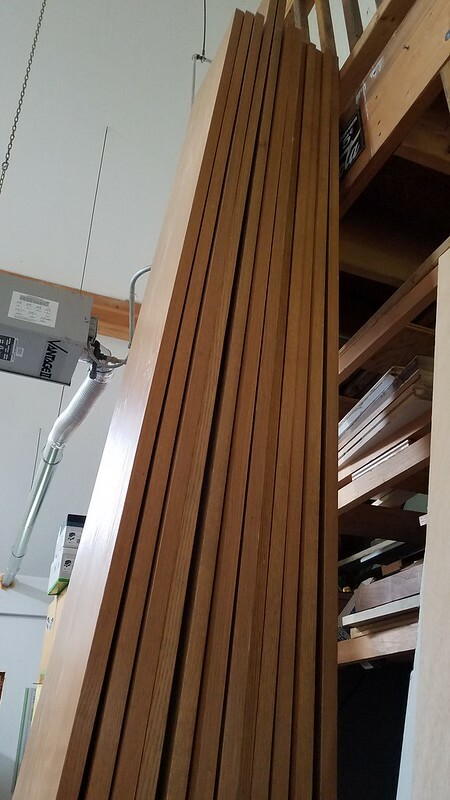 The carcases of the units were particleboard with 1/4" oak plywood on the inside (visible). They used KV shelf standards so everything was probably built on site making rips and allowing for the standards. Those shelves have not bowed with all the weight I have thrown at them. Enjoy your wood and can't wait to see what you make with them! If they’re that heavy are you sure they’re not plane sawn white oak? A happy guy with wood... that’s a tough combo to beat.